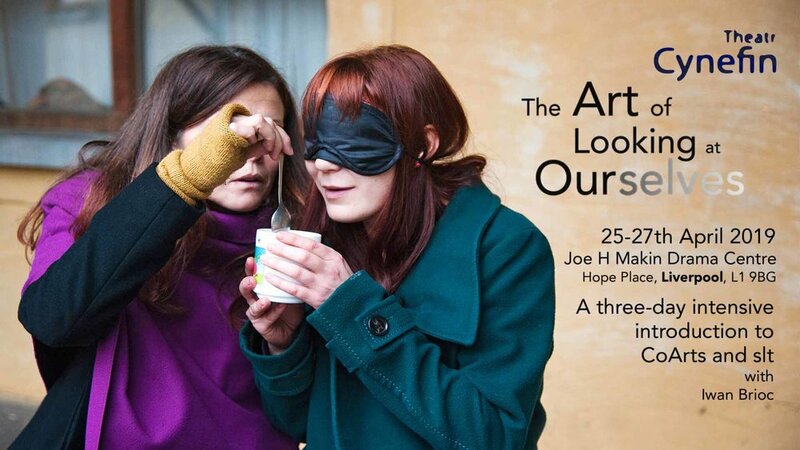 The Art of Looking at Ourselves is a three-day participative arts process that leads to the creation of a site-specific installation performance. In doing so we explore together the possibility of theatre as a source of awakening and liberation. During the workshop, participants enjoy a range of art and image making, movement and mindfulness activities through which they develop their own ‘sensory portal’, a site-specific installation. The weekend culminates in a performance, where participants invite friends and family to experience journeying through the sensory portals they have co-created. The workshop and performance offers an opportunity to step out of time and enter a ‘being’ instead of a ‘doing’ mode. What we find is that people who engage with our work report greater confidence, clarity joy, peace, and aspiration. But even more than this is a feeling of having touched something deep inside of themselves, something sustaining which was always there but hidden by the day to day stresses and the busyness of modern life. Reacquainting with this inner strength creates a strong and sometimes unspoken bond between people. The opportunity to give this profound experience to others through the performance allows for a deep sense of connection and a feeling of boundless capacity to grow. CoArts invites participants to take the risk of falling awake to the miracle of being alive. therapists, performers, theatre-makers, dancers, artists, activists, community organisers, social leaders, educators, third sector professionals, innovators, change-makers, yoga teachers, health & well-being professionals, mindfulness teachers and practitioners.